Duke was surrendered to the shelter 2 weeks ago due to financial/divorce issues. He is urgent due to kennel aggression, which has put him at the top of the pts list. He has been raised around small children, and multiple animals. He is good with cats, rabbits, birds and dogs of all sizes. He displays herding instincts with cattle, and has a good work drive. He does well with horses and other livestock as well. He walks great on a leash, knows basic obedience commands. He was born 4/1/12, he was chosen from his litter because he was the most laid back. He isn't registered, but his owner is going to try get his pedigree. He is a pretty big dog! He is leery of new people, and I think this might be partly from what he has been through. He had become protective of his female owner and children after the husband became abusive, and also mistreated the dog. He will guard his female owner against new men, he would bark at them. But once he realized they were not going to hurt her, he would relax and be fine with them. We have a 14 yr old male volunteer that Duke absolutely loves. With him he relaxes and you can see his true personality. Hey melonie glad you are here! Hopefully someone can help! I wish I could take him. He sounds wonderful. Can someone contact a GSD rescue that is near this shelter? Perhaps they will take him and find him a home. He sounds like an amazing dog! If i had more money, space, time i would take him..
Time is the only thing I'm short on. If no one will take him and his number comes up, I could foster him until a home could be found. I don't want to see anything happen to him. I would need transport to my location. Is he neutered and is he 110% potty trained? Thanks MichaelE for the offer, hopefully we can find something quickly here. I will be doing some more cross posting of him, so hopefully something comes up! He is house trained, and scheduled to be fixed this week. He does keep his kennel clean and doesn't tear up his bedding. That's on my list of things to do this evening. Thank you sooo much for fostering him!!!! 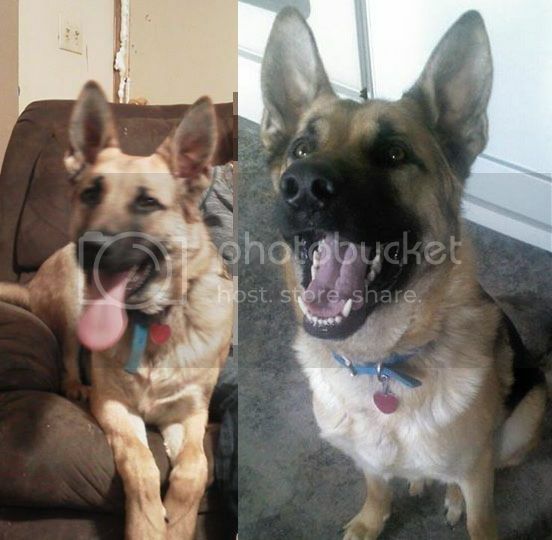 Just an update to let everyone know Duke is safe and will be going to Missouri German Shepherd Rescue.